I clearly saw the sign, but I guess I still have this mental blockage about second floor restaurants. Their baguette are pretty amazing and they go fast. Mugi is a busy bakery, but we were told it’s possible to reserve a baguette by phone. I also like their pain au chocolat made with Échiré butter from France. Since I had a bit of time to spare, my wife said we should try the coffee on the second floor. The second floor is stunning. 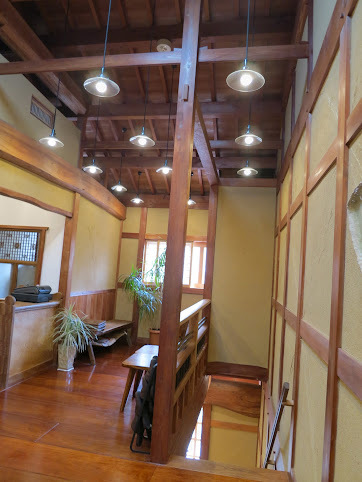 The did a really good job at renovating and preserving the original style of the building. The wood work is just so nice! And I could not help but to notice the La Marzocco espresso machine behind the bar. I ordered a regular coffee which was a single origin from Brazil. Very decent pour over coffee made with a Hario V60 dripper. The cafe latte was not only cute, but delicious. The barista knows how to get a good shot out of his La Marzocco. And just to be sure, I ordered an espresso. The shot was great and I actually had two of these over the weekend. The first one was a single origin with a light acidic taste. This second shot was from a blend a lot more balanced than the first one. The espresso is 300 yen. I tried to get the full pedigree of their coffee and all I could get out of the barista was the origin of the beans and that the roaster is located in Aichi Prefecture. 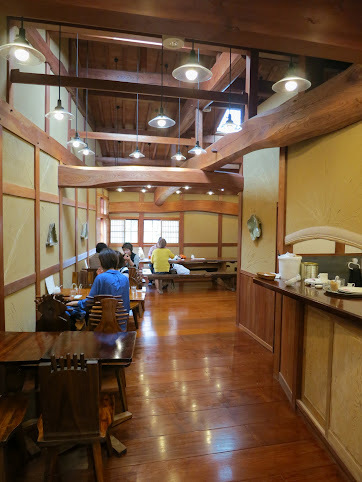 I had a shot at Cafe Gewa the week before and I liked the one at Mugi better. Cafe Mugi has a bunch of stuff on their menu and I will go back to try the sandwiches. 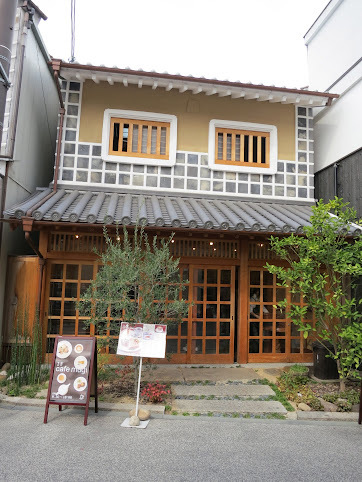 When you are sitting on the second floor, you almost have the feeling that it’s a secret place right in the middle of the busiest area of Bikan. 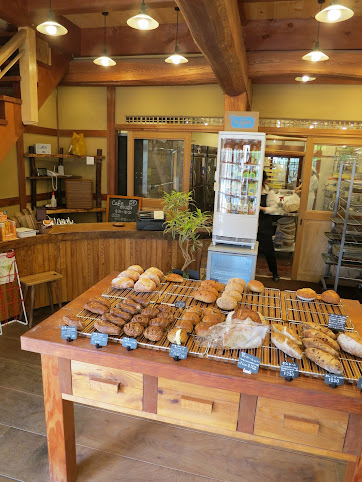 So when you head to the Bikan area, don’t hesitate to remove your shoes and climb to the second floor of Boulangerie Mugi.